Is this a new Twitch rival? 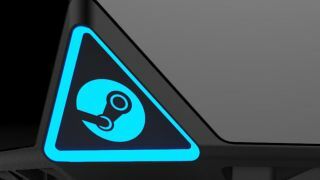 It looks like Valve is planning upgraded livestreaming capabilities for Steam, after a new service at the Steam.tv domain briefly went live over the weekend. Before it got pulled, the feed was showing a livestream of Dota 2 at the Valve's esports tournament for the game, The International 2018. Valve later admitted to CNET that the feed went live earlier than it was supposed to: "We are working on updating Steam Broadcasting for the Main Event of The International, Dota 2's annual tournament," a representative said. "What people saw was a test feed that was inadvertently made public." CNET and other outlets briefly had chance to play around with the new Steam.tv service, and it comes across as a more mature and powerful version of the rather limited Steam Broadcasting platform that already exists. In other words, Valve might be planning to take on Twitch and YouTube Gaming more directly. The feed was only available in the web and didn't work in the Steam desktop application, those who saw it confirmed. There was the option to create live chats and video chats alongside broadcasts, though the only content being streamed before the site went dark again was of Dota 2. That rather brief statement from Valve confirms that something is on the way, but just how advanced it ends up being remains to be seen. The Main Event starts on Monday August 21 (tomorrow), with the final on Saturday August 25, so something should go live soon. Valve and Steam have a big enough presence to take on the likes of Amazon (which owns Twitch) and YouTube, and gaming streams and esports continue to grow rapidly in popularity (and money-making potential): Twitch current averages more than a million views on the platform at any one time.